Normal blood sugar levels fluctuate depending on how long it’s been since you last ate. A normal blood sugar range for people who are fasting should be below 100 mg/dl and they should be below 130-140 mg/dl or so around an hour after eating but even this can be a little subjective and can differ depending on what was consumed. You obviously want to be in a healthy blood sugar range at all times so it’s worth spending some time understanding how eating effects your glucose levels and what you can do to achieve a better, healthier level of fasting glucose in your veins. For those new to this topic check out this article for tips on how to check your blood sugar levels and this article to learn more about our favorite low-cost diabetic blood sugar monitor. Need more info? See these featured posts. Ideally you want your fasting blood sugar levels to be around 90. If you speak to many doctors they are looking for blood sugar level in the range of 90-100 and they start getting concerned as fasting blood glucose levels approach 120. Most fasts tend to be approximately 10 hours in length as this gives the body plenty of time to decrease blood sugar levels to a normal range but even a couple hours after eating it is usually possible to see progress. Most people should be below 140 or so a couple hours after eating. This usually is fairly normal but even still it is good to get fasting tests to see how your body completes the normalization process. In the best possible scenario where you are eating the right foods in the right quantities your blood sugar levels would never spike and you would be below a reading of 140 after a couple hours and below a reading of 100 after 10 hours. If you are a little higher then thas can signify an increase in your risk for the development of prediabetes or the worsening of your diabetic symptoms. High blood glucose should be a warning sign for you to turn things around before diabetes and peripheral neuropathy sets in. If you feel this is a risk then you may want to see this article on the common diabetic peripheral neuropathy symptoms. To really make sure you know where your blood glucose levels are you need to own your own blood glucose monitor. This is our favorite diabetic blood sugar montitor for the average person due to its feature set and low reletive price. One thing that’s worth emphsizing if you are wondering what is normal blood sugar for non-diabetics is that a fasting blood sugar reading should always be below 100 for those in the normal range. Even after 2 hours of eating a meal a normal reading should be at or near the levels of a full fast. Most diabetics of course will not usually fall in the normal range unless they work hard to manage their condition through diet and exercise. Here is a quick video going over a normal blood sugar range for both people with diabetes and those without. Blood sugar levels for men and for women may not differ much but the normal blood sugar range for diabetics and non-diabetics differs by a lot. Enjoy. If you don’t have perfect fasting blood sugar levels but you aren’t quite high enough to be diabetic you should take this as an opportunity to improve your health and achieve normal blood glucose levels before you start developing full blown type-2 diabetes. Usually high blood sugar levels have to do with a poor diet but even more often they have to do with a person’s lack of physical activity. Many medical studies have shown a dramatic relationship between elevated blood sugar levels and insulin resistance in those who aren’t very active on a daily basis. Many of these same studies have also shown that the most efficient way of improving insulin resistance is to get physically active. Of course you should also eat better but if you do any one thing you really need to get active. This helps in achieving weight loss, increasing blood flow and circulation, and in lowering blood sugar levels. If you decide to start exercising and getting active you absolutely have to start eating better as well. Changing your diet alone will help but doing both in conjunction will supercharge your efforts. Get your hands on a cookbook full of quality foods and meal plans which are ideal for diabetics, pre-diabetics, and those with high blood sugar levels who may be insulin resistance. 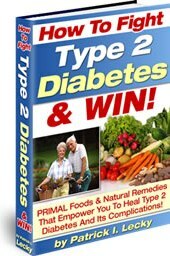 This diabetic cookbook is an excellent option and one that I highly recommend. There are of course others so if you have some ideas for alternatives then by all means go for them. If you choose to try out the aforementioned cookbook to help you manage your blood sugar levels please make sure you take proper steps to exercise and incorporate more physical activity into your life. This will not only help you maintain lower blood sugar levels naturally but may be all you need to prevent diabetes from setting in.